Paramore fans get excited!! 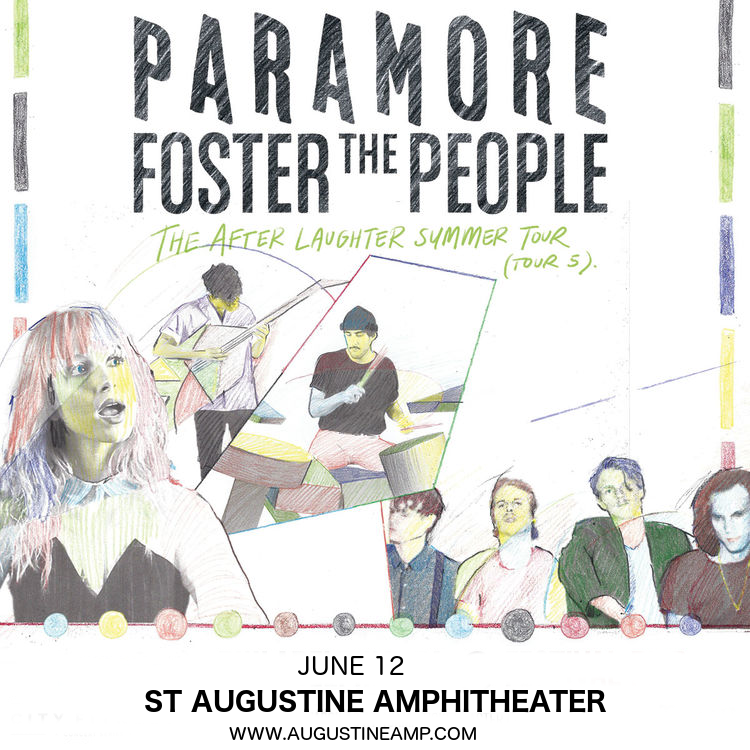 They’re back with their first album since 2013, and they’re teaming up with Foster The People for a massive North American tour!! They’ll perform live on Tuesday 12th June 2018 at St Augustine Amphitheatre! Tickets are on sale NOW for one of the biggest shows of the month – grab yours now while they last!! What are you waiting for?? Grab your tickets now and get ready to experience it all live! !